runjoey: Isn't running bad for your knees?
" Don't your knees hurt? Isn't running bad for your knees? I heard you can get arthritis if you run too much." Blah blah blah. Just some of the annoying things we runners hear all the time. Short answer is no no and no. In fact study after study has proven just the opposite. Long time runners actually tend to have healthier knees than our sedentary counterparts. I'll post a few links at the bottom if you are interested. I've been a runner for over 40 years now and since I turned 46 I have run 50 marathons and over 80 ultramarathons and I'm happy to say both of my knees are fine. In fact the only real knee injury I had was a torn acl playing soccer in in 1998 and after I recovered from that is when my longer distance running really began. So what do these pictures of me in yoga poses have to do with it? Well actually the both emphasize that I would not be able to perform these if I was having knee problems. 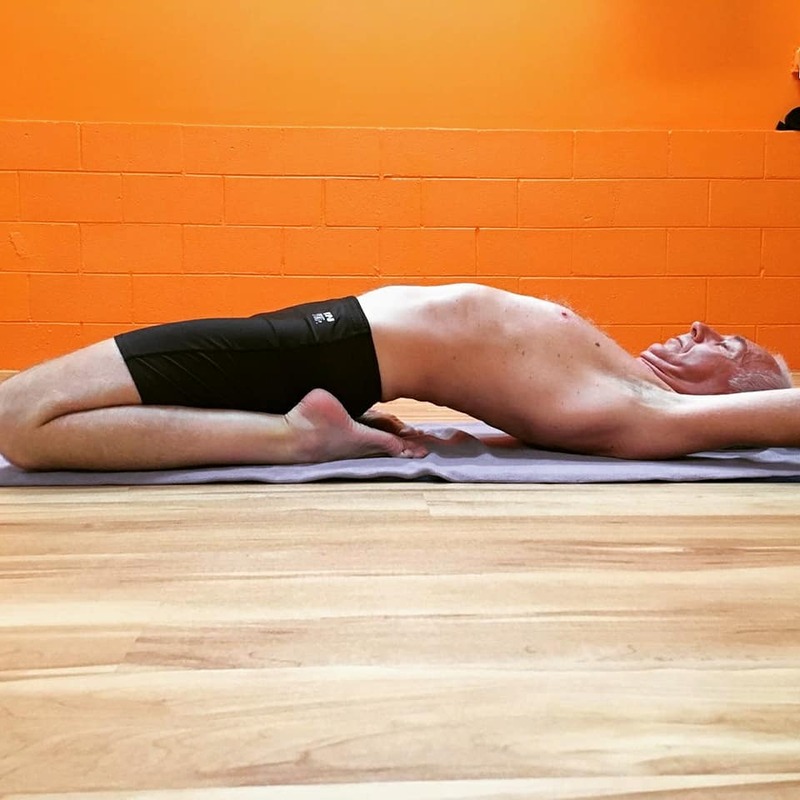 This one is called awkward pose and it demonstrates the strength and stabilty that is needed in the knees to be able to move up and down and hold this position. The one below is known as fixed firm. IT took quite a while before I was able to do it but not just because the knees are under a lot of stress for beginners. Before moving into this one you need some flexibility in the hips, quads and ankles which for runners are usually very tight and mine were like steel bands. It was 8 months before I could go back as far as my elbows and almost a year before I could ever get my shoulders to the floor. Now no stress on the knees ! I can leave the yoga room, lace up my shoes and run pain free. Here are some links you can look at so don't just take my word for it. Running May Protect your Knees. Does Running Hurt Your Knees.. So that was a bit different than the usual stuff here. STay Tuned for my training and racing action.